Licenses with a May 31, 2019 expiration date must complete 24 continuing education hours between 6/1/2017 through 5/31/2019. Licenses with a May 31, 2020 expiration date must complete 24 continuing education hours between 6/1/2018 through 5/31/2020. LICENSES WITH A MAY 31, 2019 EXPIRATION DATE CAN NOW USE THIS WEBSITE TO RENEW LICENSES. Renewal applications for licenses that expire May 31, 2019 can be found under “Documents/Applications-Renew License.” A post card renewal notification will be mailed to your address on record in early March. Renewing a license can only be done using this website and a credit card or money order are the only accepted methods of payment. If payment with a credit card, a $3 administration fee will be charged. This fee does not go to the LSRTBE. THIS OFFICE WILL NOT ACCEPT CASH, PERSONAL CHECKS, OR CREDIT CARD PAYMENTS OVER THE PHONE. Renewal of license must be completed before May 31, 2019. THERE IS NO LONGER A PROBATION PERIOD. 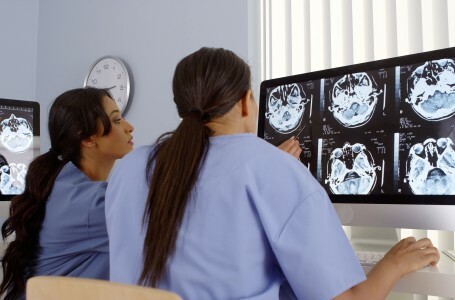 On May 31, 2019 your license will EXPIRE and it will be illegal for you to work as a Radiologic Technologist in Louisiana. A delinquency fee will be applied after May 31, 2019 in addition to the renewal fee. All fee and continuing education requirements are found in this website. This website has been designed to be compatible for use on your tablet, smart phone, and PC. CLICK THE LOUISIANA STATE SEAL AT ANYTIME IN THIS WEBSITE TO RETURN TO THE HOME PAGE. The Louisiana Medical Radiation Health and Safety Act of 1984, R.S.37:3200-3221, provides that, in order to safeguard life and health by preventing excessive and improper exposure to ionizing radiation, any person practicing or offering to practice as a Radiologic Technologist in Louisiana shall submit evidence that he or she is qualified to do so.